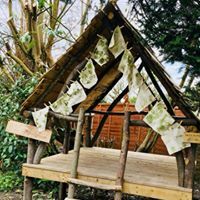 Lucy’s Little Forest School delivers woodland based activities for children and adults of all ages. We believe that the wonders of the woodland provide a creative space to connect with the natural world… A space to think, explore, reflect and most of all have fun. 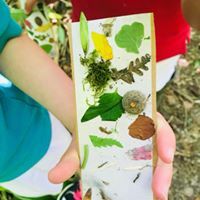 This is a course for parents and children aged 1-5yrs to spend some time in the woods exploring and being creative with the nature that surrounds us! 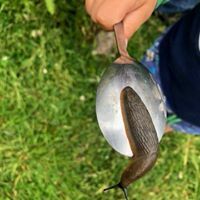 Spend 6 delightful sessions becoming part of a team exploring the nature around us through play, exploration and creativity designed around specific age groups. Originating from Scandinavia the philosophy of Forest School is to encourage and inspire children of any age through positive outdoor experiences. At Forest School we develop a programme for specific needs, working with what you have as an outdoor setting. This can vary from woodlands, gardens, even an urban setting or concrete play area. We can create a natural world to encourage wildlife, and inspire the children and adults to use the space in a variety of ways. Wilderness Wood is open all year round for school visits where we will provide you with a taster of the Forest School ethos designed to inspire young minds. Forest school uses the woods and forests as a means to build independence and self-esteem in children and adults. Take advantage of this valuable resource to enrich and enliven the curriculum and stimulate learning. See our activity packs to choose your theme, then talk to a forest school leader to find out more. We’ve been enjoying regular visits from The Dementia Support Group come rain or shine! Wilderness woods are an inspiring and beautiful landscape with 62 acres of chestnut coppice with stands of Beech, Scots Pine, Douglas, Cedar and Giant Sequoia. At the woods we have a cafe, a workshop, a kitchen garden, a marquee, and camping shelters. 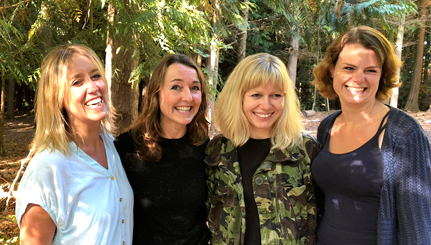 The complete work collective includes Lucy’s Little Forest School at the Wilderness Woods, Andy Coates’ Woodland Products and Rachel’s Wilderness Cafe.